Venezuela – every day's a holiday! On this day in 1492 two worlds collided. …and that the Americans were a mixture of all races: the Asiatic tribes who crossed over the Bering Strait, and the Iberian colonizers and African slaves who crossed via the Atlantic. Vasconcelos’s theories were not without bias: “A religion like Christianity advanced the American indians, in a few centuries, from cannibalism to a relative civilization.” But you will hear echoes of Vasconcelos’s optimism on Dia de la Raza. Raza means “race”, but not entirely in the English sense of the word. In the context of the holiday, raza refers to the birth of a new breed of humanity, the synthesis of cultures, races, religions, and ideologies that make up Hispanic America today. Thus, Dia de la Raza, takes this day of tragedy and turns it into a celebration of life across Latin America. Up until 2006, Venezuelans celebrated El Día de la Bandera (Flag Day) on March 12th, in honor of the day in 1806 that Francisco de Miranda first hoisted the future flag of Venezuela on the ship Leander. Miranda was born in Caracas, Venezuela. During the American Revolutionary War, Miranda fought for Spain in Florida. In France he served in the French Revolutionary Army. And between those two revolutions he lived in England, Italy, Prussia, and the Ottoman Empire. But he’s most famous for his role in the liberation of his homeland Venezuela, a crusade that occupied the last decade of his life. In 1806 Miranda acquired unofficial British support to lead a rebellion against Spain in South America. On March 12, 1806, Miranda raised the tricolor flag, which he himself designed, atop the ship Leander, just before she and two other ships set forth from Haiti to liberate South America. The other two ships were captured by the Spanish, their occupants tried, and many were put to death. The Leander escaped, arriving in La Vela de Coro on August 3, 1806, flag in tact. Miranda led the struggle against Spanish forces for the next several years. 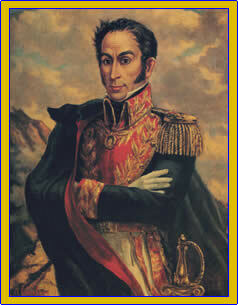 On Maundy Thursday in 1810 a military junta established a provisional Venezuelan government, to which Miranda was appointed as a delegate from El Pao. The congress adopted Miranda’s tricolor flag as the official banner the following year. However, later losses, and a huge earthquake which hit Venezuela on Maundy Thursday two years after the junta (taken by many as a sign from God against the revolution) reduced Venezuelan morale and popular support. Miranda became a generalissimo with dictatorial powers, but as the revolutionary effort crumbled, he began considering an armistice with Spain. Simon Bolivar and other revolutionaries viewed Miranda as a traitor. In one of Bolivar’s less touted moves, he and his co-patriots turned Miranda over to the Spanish. 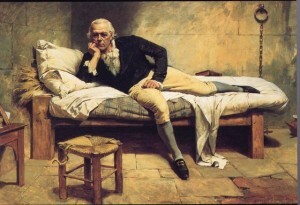 Miranda was transported Spain, incarcerated, and died in his cell four years later—on July 14 (Bastille Day) 1816. He was buried in a mass grave. In 2006, the Venezuelan government voted to change the date of Flag Day to August 3rd to celebrate the 200th anniversary of the flag’s (and Miranda’s) arrival on Venezuelan soil. Today citizens of Venezuela, Colombia and Bolivia celebrate the birth of the Libertador of northern South America: Simón Bolivar. He was born on this day in 1783 in Caracas, Venezuela. Bolivar is one of the few people to have a country permanently named after him, and is the only person born in the New World to have been so honored. 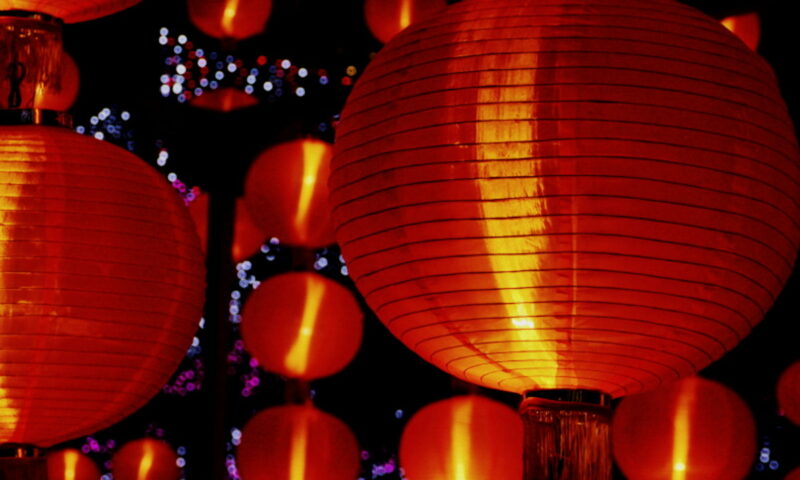 Belize – possibly from the Spanish pronunciation of “Wallace”. Captain Peter Wallace was a pirate commissioned by King James I to pillage Spanish ships in the region. He built his base at the mouth of what is now the Belize River. May also be from the Mayan “belix” meaning “muddy water”. Bermuda – after explorer Juan de Bermudez, who arrived there in 1503. Dominican Republic – after St. Domingo de Guzman, founder of the Dominican Order. El Salvador – literally, “the Savior”, after Jesus of Nazareth. Kiribati – from the Gilbert Islands, for Captain Thomas Gilbert. Mozambique – possibly from sheik Mussa Ben Mbiki. Seychelles – for Jean Moreau de Sechelles, King Louis XV’s Finance Minister. Amerigo Vespucci is the only person to have a continent named after him, and he got two! The explorer helped prove that the lands Christopher Columbus encountered were not in Asia, but were entirely new continents. 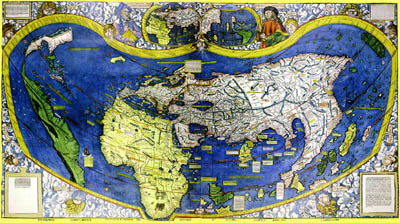 In 1507 cartographer Martin Waldseemuller labeled the new continents after the Italian explorer when he printed 1000 copies of his famous globe of the world.